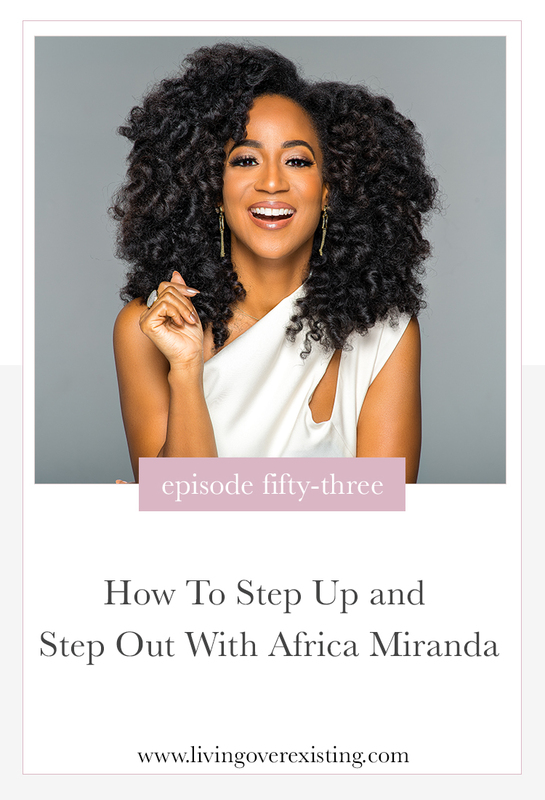 On this week’s episode I chat with influencer, host, entrepreneur and now author Africa Miranda! I have admired Africa since her days on reality tv not just because of how multi-talented she is but also because of how she has been able to transition between each of her passions effortlessly! We chat about how she has taken a different approach to her personal brand instead of trying to keep up with trends, how she is taking time out for herself during a very busy season, her formula for success and her new book “Step Up, Step Out and Shine”. Instead of focusing on trends and changing algorithms, she takes an artistic approach and focus on creating things that she is into and focusing on the audience that is into it. When it comes to deciding on what to take action on next she goes back to her life equation of Passion + Purpose = Profit. Africa wrote this book for people who believe that there is more and want more. it is meant to help you to build yourself and get a better understanding of who you are! I use an equation that I call my life equation, passion + purpose = profit. It’s my way of being able to quickly decide if something is the right fit for me, my audience or my brand. If you enjoyed this episode, make sure to rate and leave a review on your favorite podcast app!